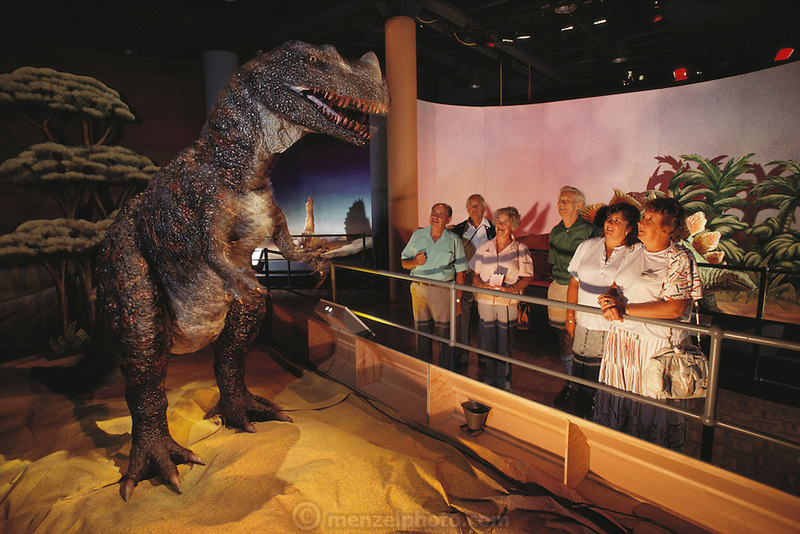 Museum visitors watch an animated model of a bipedal dinosaur Ceratosaurus sp. This life- sized model was based on fossil remains and comparative anatomy - enabling the stance and overall shape of the dinosaur to be inferred. The model is jointed to allow some degree of movement. Canberra Science Museum, Australia. .